Alzheimer’s and Coconut Oil: What Does the Science Say? Coconut oil has certainly been a health craze over the past few years, with people claiming it can do everything from whiten your teeth to promote weight loss. Recently I’ve had several readers ask me to look into claims that coconut oil could treat or cure Alzheimer’s disease. So let’s dive into the details and figure out whether coconut oil could really be healthy for your brain. Most explanations for coconut oil’s supposed miraculous properties focus on its high ketone content. The “ketogenic diet,” sometimes shortened to the “keto diet,” has recently seen a surge in popularity. 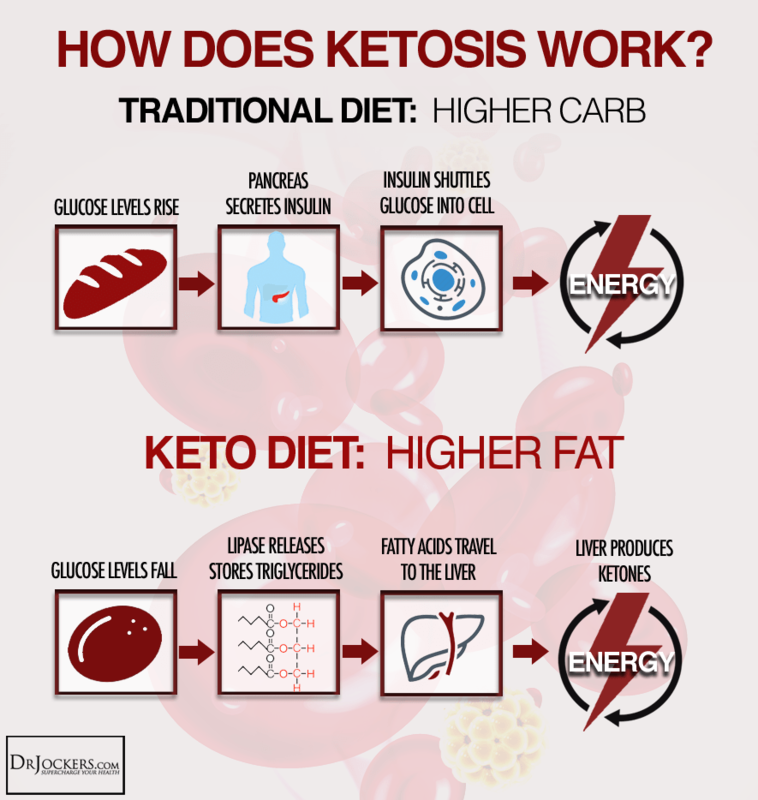 The idea behind the keto diet is to shift your body’s primary energy source from carbohydrates to ketones. Normally, the carbs in the food you eat are converted into glucose (aka sugar), which your body then uses for energy. However, when your carb intake is very low, a backup mechanisms called ketogenesis kicks in. Your liver starts breaking down fat into ketones, another type of energy-storing molecule similar to glucose but with a different chemical structure. To induce ketosis, people cut back on their intake of carbs to less than 20 grams per day (equivalent to half a cup of pasta or one slice of bread), compared to the 225 to 335 grams that most people consume daily. To compensate for the reduced calories, they also increase their consumption of fats. Coconut oil is especially popular in keto diets because it is rich in medium-chain triglycerides, a type of fat that your body can easily convert into ketones. By maintaining a low-carb diet for an extended period of time, your body shifts toward utilizing fat as its primary energy source. As a result, your pancreas starts producing lower levels of insulin, the hormone that tells your body to store glucose as fat. The idea then is that less of what you eat gets stored as body fat and more gets burned for energy, and so you lose weight. That’s where coconut oil might come in. Since their brains have trouble metabolizing glucose, perhaps Alzheimer’s patients could substitute ketones as an alternative source of energy. Research shows that ketone metabolism in normal in Alzheimer’s brains, providing hope that this could be a possibility. A recent study also showed that neurons incubated with coconut oil and then exposed to amyloid-beta (a toxic protein associated with Alzheimer’s disease) had increased survival compared to neurons not treated with coconut oil. Unfortunately, clinical trials in humans are lacking. I was only able to find one small study from Spain, in which 22 Alzheimer’s patients were given 40 mL of coconut oil daily for three weeks. They found that these patients scored better on a memory test than others who did not receive coconut oil. However, the sample size was very small and they also did not include a placebo in the control group, so it’s difficult to say how meaningful these results really are. Other clinical trials studying different types of ketogenic compounds to treat Alzheimer’s disease have seen only limited success in a small subset of participants. This entry was posted in Science Articles and tagged alzheimers, brain, coconut oil, dementia, diet, health, keto, ketogenic, ketones, low carb, neuroscience on December 14, 2017 by AlzScience. Good article, Maya! I agree that coconut oil, despite the hype, is not as wonderful as people make it out to be. Although I love to use it in my face creams, I’m not convinced that its so good to consume internally in large doses like some people proclaim (and it does clog the plumbing, like animal fat clogs our arteries…). I like Dr. Michael Greger’s Nutritionfacts.org website, as he researches all the latest scientific articles that come out in journals with a reasonably unbiased approach. Keep up the great work, Maya!